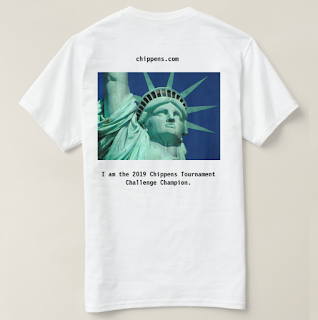 The time has come to MAKE YOUR PICKS in the 2019 Chippens Tournament Challenge! Entry is FREE. Everyone who enters is eligible for the Traditional Prizes. Must make your own picks and be old enough to do so. No making picks for your 6-month-old third cousin once removed. Deadline to submit your picks is Thursday, March 21, 2019 at 12:00 Noon Eastern Time. If you want to change your picks before the deadline, easiest way is to contact me with your changes. Otherwise, you can fill out a new bracket from scratch and submit it. Your latest submission will supersede your earlier submission. One again we have a great lineup of PRIZES for the top finishers. 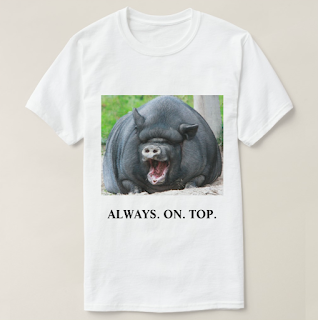 The Champion gets a lifetime supply of fame and glory (plus the Grand Prize T-Shirt). Second place gets to talk over intoxicating beverages about how s/he almost won (plus a bumper sticker), and third place gets a fridge magnet. Entry is totally free. Everyone who participates is eligible for the prizes listed above. 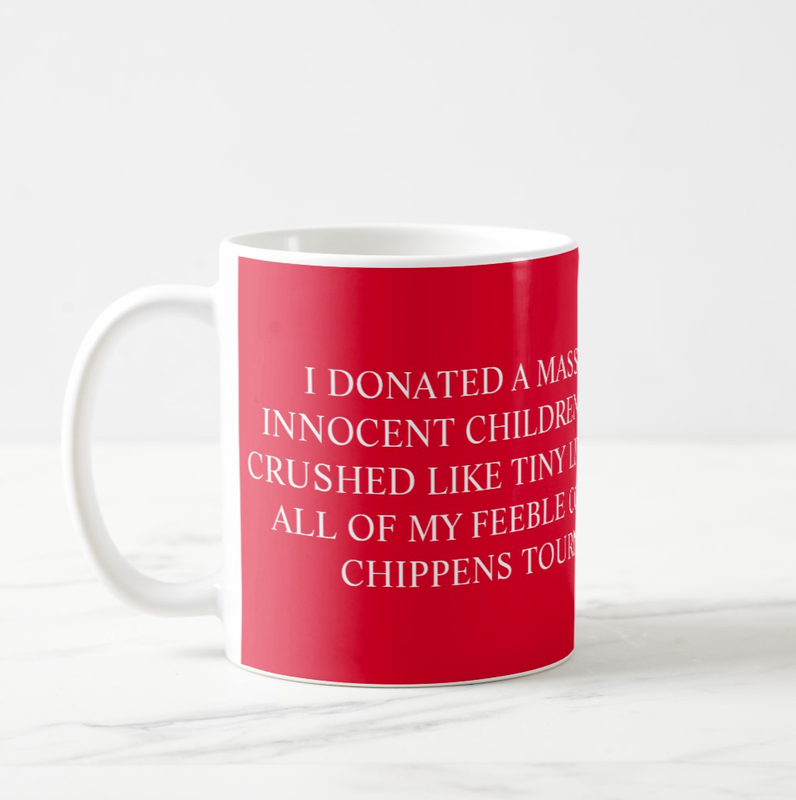 For the second year in a row, Chippens is operating the tournament as an optional fundraiser for St. Jude Children's Research Hospital. This year, the Chippens CEO is running the St. Jude Marathon on December 7, 2019, in honor of his daughter, ChaCha Corwin, who is a leukemia survivor since September 21, 2017. Your donation will go toward his fundraising goal. You do NOT need to donate to participate in the tournament or to be eligible for the traditional prizes. All the money goes to St. Jude, and your donation is tax deductible. 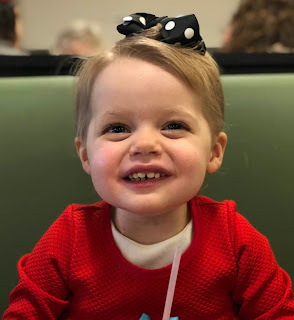 Charlotte "ChaCha" Corwin, pictured here on March 17, 2019, is in remission from leukemia. She has weekly chemotherapy treatment until April 2020. Angel to the Innocents: Donate $100 or more and you are an Angel to the Innocents. Beat all the other Angels who also donated at least $100, and you will win the MUG OF MAGNIFICENCE. The mug, beautifully adorned with an apt yet understated message befitting its eventual owner, will make a superb breakfast time complement to anyone who proves worthy enough to win it. Click HERE to become an Angel. Gold Club Competitor: Donate $25.00 to $49.99 and you are Gold Club Competitor. Gold is the color of childhood cancer awareness. If you become a member of the Gold Club and beat all the other Gold Club Competitors, you will win the Gold Button. The Gold Button comes with a wonderful message to raise awareness of both childhood cancer and of the wearer's supreme dominance in this year's tournament. Click HERE to become a Gold Club Competitor. If I donate $25 to become a Gold Club Competitor, am I competing against the Angels and the Conquerors too? No, you are only competing with others in your "class." Do I have to donate to play or to win the traditional prizes? No. What if I finish at the top of my donation class and also finish in the top three overall? Then you win the prize for your class and the corresponding traditional prize as well. For example, you would win the Mug and the Grand Prize T-Shirt if you donated at least $100 and finished in first place overall. What if my spouse and I donate $25 together? Designate one person to be in the Gold Club. What if we donate $50 or $100 together? I'll ask you to clarify what you want in terms of "class" membership. What if I donate $0-$24.99? You are a Supremely Talented Chippens Competitor and eligible for the Traditional Prizes. Can I see how I'm doing in the standings for a couple weeks before I donate? You can donate at any time, but to be eligible for the prizes, you must donate by the picks entry deadline of Thursday, March 21, 2019 at noon eastern time. Will I know who the other players are in my class? What if I want to make an anonymous donation? Anyone can make an anonymous donation. However, to ensure complete transparency in giving out the prizes, anonymous donations will not be prize-eligible. Donate at least $100 and you could enjoy your breakfast coffee or tea every morning with this magnificent prize, which reads "I donated a massive sum of money to innocent children with cancer and also crushed like tiny little insignificant bugs all of my feeble competitors in the 2019 Chippens Tournament Challenge." 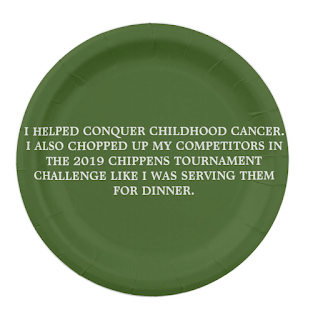 Donate $50-$99.99 and become a Cancer Conquerer eligible to win this tasteful set of 8 paper plates. The person who donates $25.00-$49.99 and beats everyone else who did the same will get to wear this button proudly 24/7. Good luck to all competitors in 2019!